Talk about a super simple side dish that is perfect for Easter, these 5 ingredient glazed carrots are everything you’re looking for in a side dish everyone will love! These slow cooker glazed carrots are a great recipe for a crowd – even for people who don’t normally love to eat their vegetables. They’re slightly sweet with a salty crunchy topping of crumbled up butter crackers. 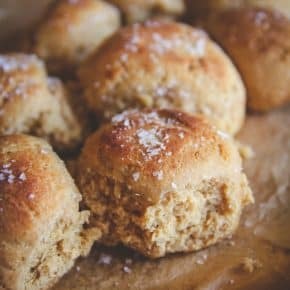 This recipe is so easy, seriously, I think Ben could almost make it on his own. Ok, maaayybe not yet, but it’s just that simple. 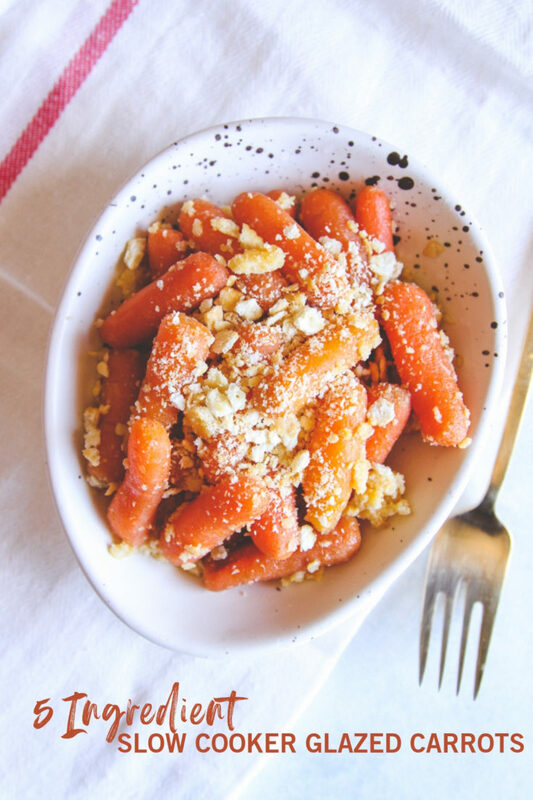 He also loves eating carrots, so this is a great kid friendly side dish! 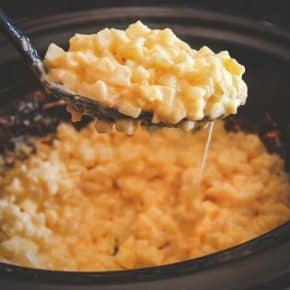 I love using slow cooker/crock pot recipes when I’m cooking for the holidays. The days always seem to fly by and slow cookers make it that much easier to set it and forget it (plus it frees up precious oven space). For example, any time I am cooking Thanksgiving dinner, I use this recipe for a slow cooker sweet potato casserole. 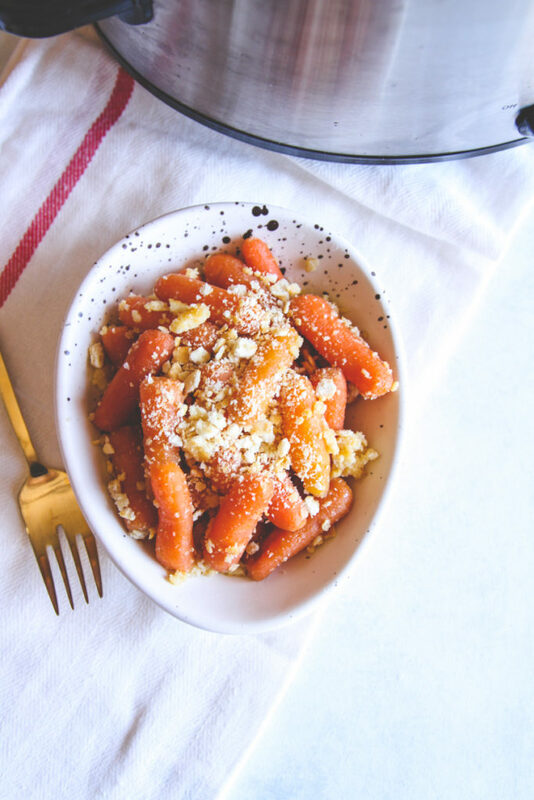 It reminds me of this carrot side dish because both are just super easy. 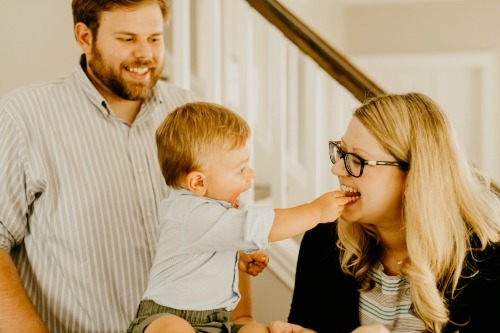 Last year, we were so excited to host Easter at our house. We were getting everything prepped the week before, cleaned the whole house, designed a tasty menu and then the plague hit our house. Everyone got sick. We obviously could not host and subject all of our family to this sickness, so we had to cancel and were super bummed. But you know what that means!? We’re trying again this year! You best believe that this side dish is definitely on the menu. 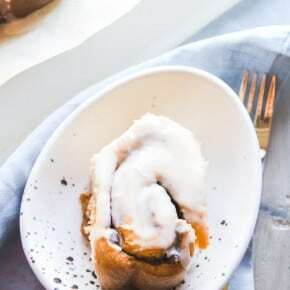 And, keep your eyes on the blog because I’ll be sharing a dessert in the next week or so that is AMAZING and will definitely be my favorite part of the Easter menu. 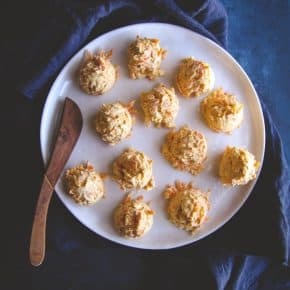 A version of this recipe was originally shared with me by a friend whose grandmother would make glazed carrots with a buttery Ritz cracker topping on Thanksgiving. Growing up, we had an old family friend who made glazed carrots for every occasion, so I was familiar with glazed carrots, but the Ritz cracker topping, oh my goodness, it takes glazed carrots to a whole new level! Using a slow cooker makes everything so much easier. In case you’re curious, I use this slow cooker and it has been my trusty side kick for many years. I highly recommend it (I legit have two). 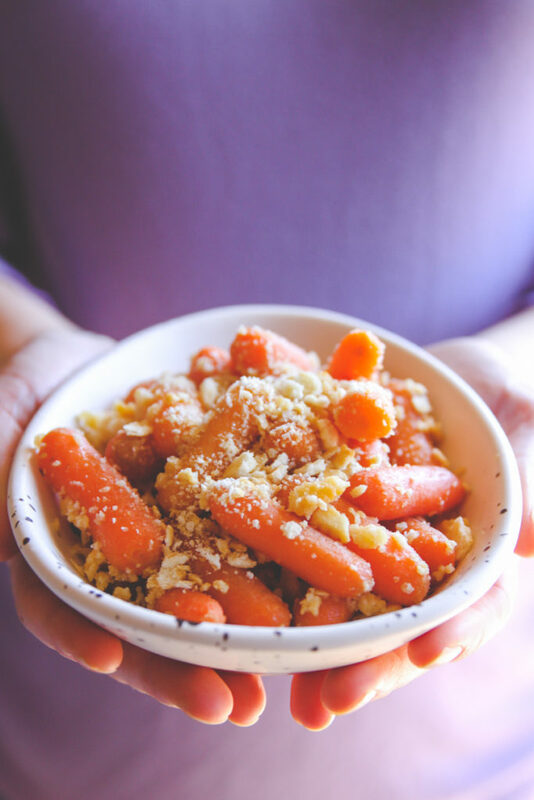 Top carrots with buttery cracker crumbs, serve and enjoy! 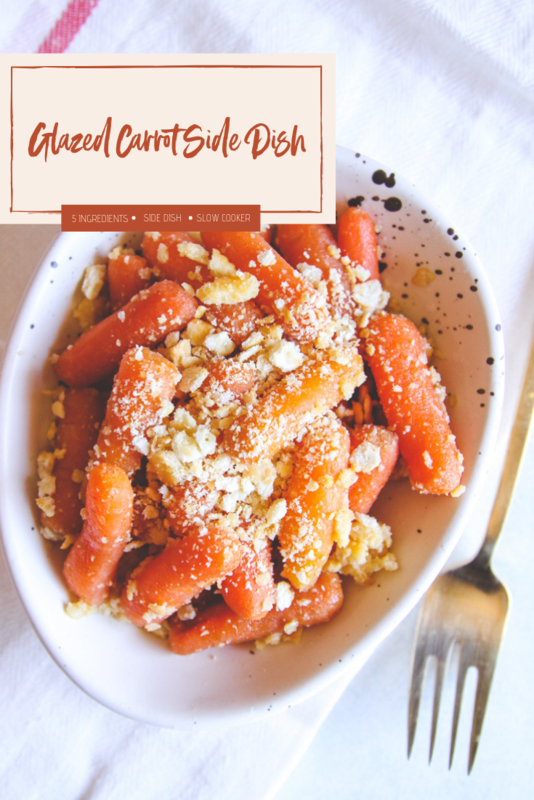 Grab a slow cooker and make these delicious 5 ingredient crock pot glazed carrots side dish! 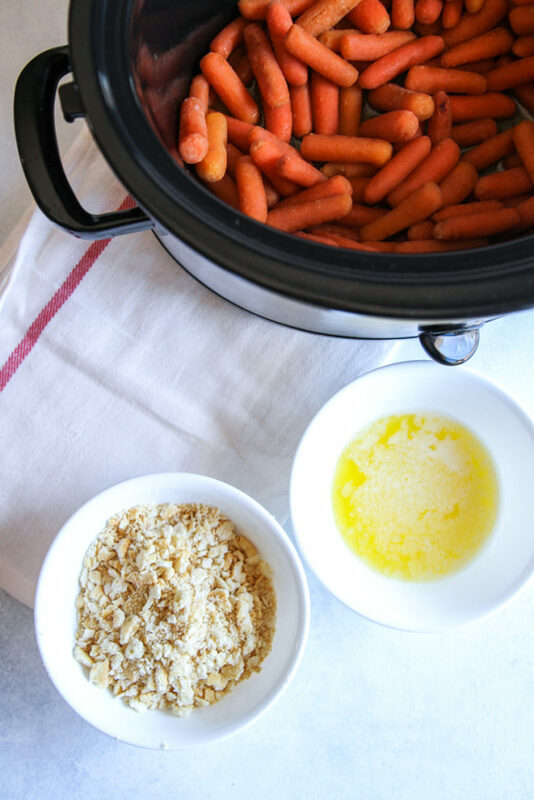 5 ingredient slow cooker glazed carrots with a buttery cracker topping, a super simple side dish that everyone will love! 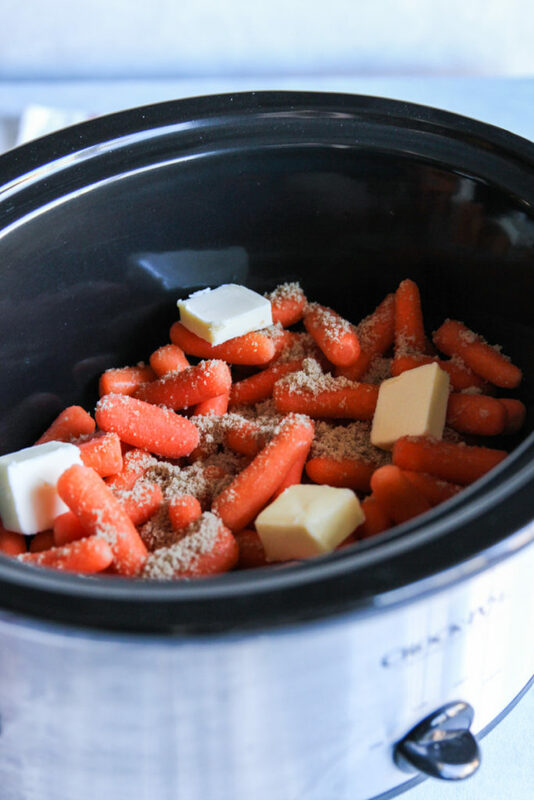 Place baby carrots into a slow cooker/crock pot. 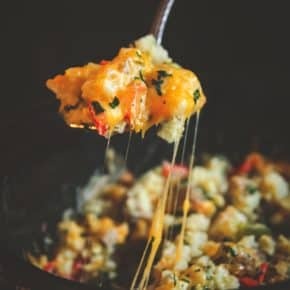 Turn slow cooker to HIGH and cook on high for three hours. Stir halfway through. For the topping, melt 1/4 cup butter. Stir in garlic salt and crushed Ritz crackers (to crush the Ritz crackers I just crumble them with my hands). Sprinkle topping on top of carrots and serve. Alternatively spoon carrots into a serving dish and top with the buttery crushed crackers and serve. 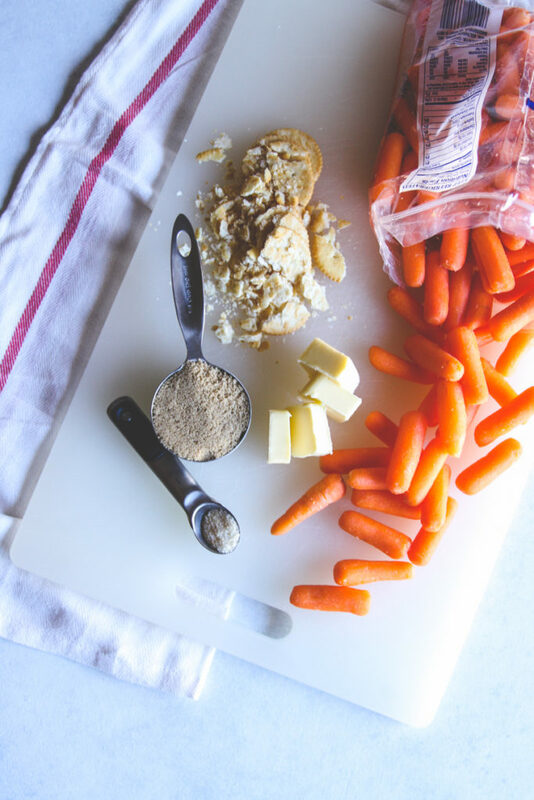 If you don't have baby carrots, you can use whole carrots, cut up into 1/2 - 1 inch chunks.